Jenn is great and great in one of those ways where I don’t want to provide description myself. Proud and angry with absolute reason, she is fearsome and powerful and I want to encourage you to follow her on twitter. Jenn did something this year really cool that I wanted to highlight. There’s this problem we have where we tend to think of some forms of creation as ‘lesser’ because of how they’re made. The twitter thread is basically the babby essay, for example. 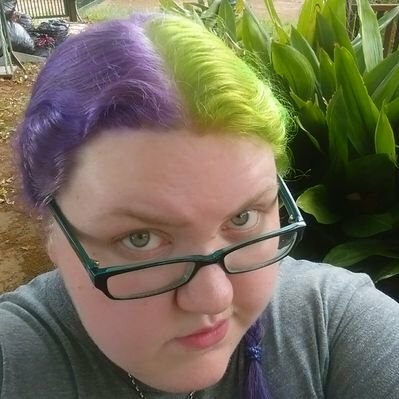 I wanted to bring to your attention the absolutely heroic twitter thread that Jenn made this year, following her audiobook reading of the Harry Potter series. This thread is thirteen thousand words. It’s not just an essay, it’s almost a thesis. This many words is basically a book. It’s easily a commentary track for the entire series of books, but it’s also got something thanks to Twitter breaking up the thoughts. It isn’t meant to be long form reading but rather serialised commentary, and thanks to the text it references setting the timer, you’re going to be buoyed along with the reading as you listen. I really like this. I don’t follow it well, because I haven’t listened to these books, but this is a really cool, interesting medium for critique and reflection on a work. You should check it out, and if you want to start on media critique or talking about media forms that really matter to you this can be an interesting good start.